He replaced former General Manager Federico Ciampi. For the early part of Mr McArdle career, he worked in the 5-star Glasshouse Hotel in Edinburgh, Scotland which is a Marriott Autograph collection property, where he progressed from a Duty Manager, Assistant Food and Beverage Manager, Conference & Banqueting Sales and Marketing Manager then to Operations Manager. He then moved to a company called Place Hotels where he was the General Manager of two 4-star City Centre Boutique properties. Before joining Scrub Island, he worked for Perle Hotels pre-opening and operating the luxurious Perle Oban Hotel, located on the west coast of Scotland. 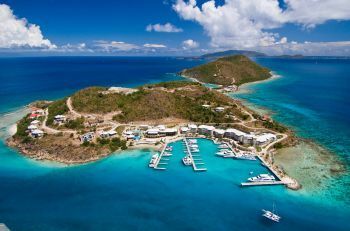 Scrub Island, one of the Territory’s major hotels, was also damaged by Hurricanes Irma and Maria in 2017. Currently, the Hotel has 22 of the 52 bedroom operational, 3 Villas, Ixora Spa, Marina, Caravala Restaurant, Pool, Pool Bars, Gourmet Market and Deli are all opened. Our newsroom caught up with Mr McArdle who told us “our reconstruction works are on-going with the full relaunch date set for October 1, 2018”. Scrub Island opened in 2010 and is owned by Mainsail Lodging and Development, Headquartered in Tampa, Florida, USA. Agreed, he is handsome. I love Scottish men. About manager number 17 since it opened then. An eyesore, completely out of place in BVI. @Rubber Duck, maybe something is wrong with your eyes. That is a beautiful resort. Can't. Be an eyesore with that handsome eye candy General Manager. I will leave the manager to you. But the building needs towing to Cancun. @big girls rules and Ms. Diva....Ho. Ho..Ho. Scott was the nee general manager from december,so whats new,scrub island need to deal with the bvi community much better and the staff too. Scrub need to stop fire the locals for no reason ,and deal with everybody fair. Yeah but you ridiculous women talking about you think he’s handsome and you love Scottish men? When he fire your Black behind, and mistreat you, see how much you love him then. Oh yeah, it’s coming for all of you with blinders on...Strupes. He is a good man ,just now u will see is real england colors just wait. @staff..hahaha so far? Just wait. Scott was at scrub from a week before the last manage leave working, so u guys saying since last week , i think the labour department is too cool with scrub island,because scrub is getting away with so much. I really think general manage for hotel in the bvi should really be a local person,bvi please open ur eye and stop giving these ppl ftom england work permits. English just moving in little by little to give information to feed ppl back home becareful. Most hotels that are managed by Locals with the exception of Maria by the Sea Failed. I am not saying that we do not have educated locals capable of running successful business what I know is that when they are placed in managerial positions based solely on the fact that they earned the post because they are locals it could only end in failure. @Truth, that is a bunch of Bull and you know it. Most of the hotels and Inns are owned and run by locals and doing well before the hurricanes. Where did you get your non information from?